Uncle Bubble's Ultra Bubble Concentrate is our flagship bubble product and one of our top sellers. 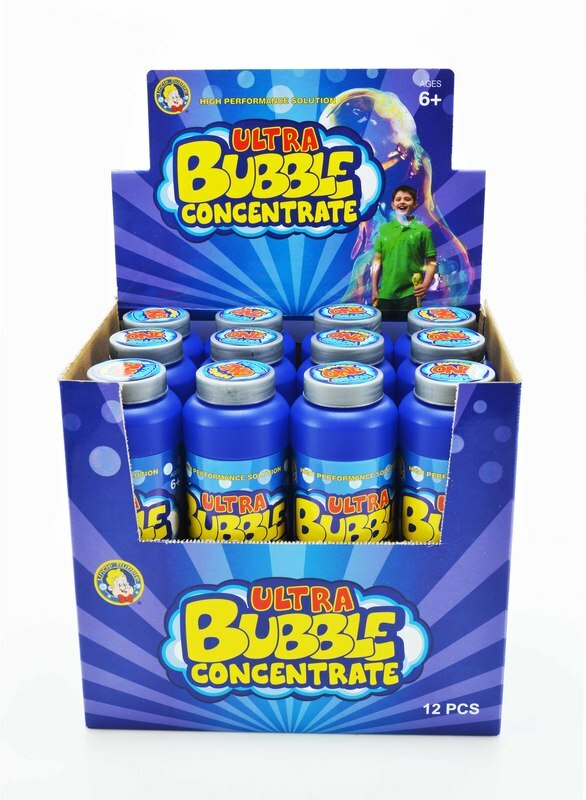 This concentrated bubble liquid has been formulat﻿ed for creating gigantic bubbles and c﻿ontinues to ﻿be the most sought after bubble solution for performers internationally. Simply dilute the bottle with water and enjoy to your heart's content, then store for later use! D Now Inc recommends stocking this item with any order of our Unbelievabubble swords. Concentrated means you are not shipping water weight! Uncle Bubble's Ultra Bubble Refill is "Ready To Use" and makes playing with our wands hassle-free! This item is especially popular for retailers specializing in gifts and souvenirs, or bubble fans whom prefer Uncle Bubble's exact measurements for long lasting and perfect bubble making. The Ready To Use can also be stocked with the Unbelievabubble swords. If your business specializes in gifts and souvenirs, this item makes a great companion to any of our wands and swords.